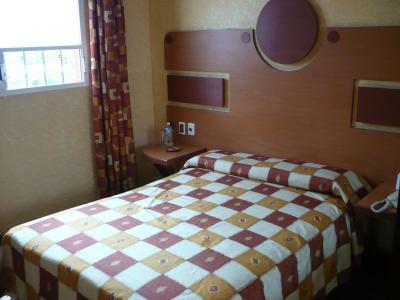 Lock in a great price for Hotel Universal – rated 8.2 by recent guests! Hotel Universal is the place to stay, especially if you are coming to Mexico City to visit Our Lady of Guadalupe. It is an easy a close walk to from the basilica, and one which takes you past numerous delicious street food stands, juice stands, fruit stands, restaurants and bakeries. 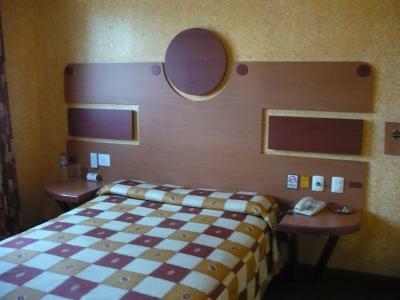 The staff are friendly and do an excellent job cleaning the rooms while respecting your belongings and where you’ve placed them. 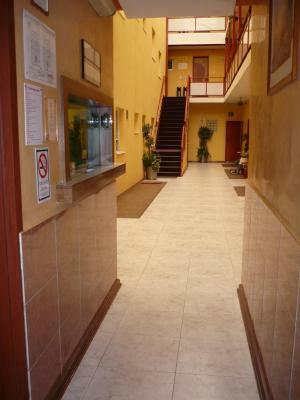 The hotel overall is very safe and pleasant. Rooms were clean. Staff was nice. Price ok. Parking good. Hot water. Decent and respectful staff. I didn't lose anything i even ended up leaving tip. Pros: A constant presence of cleaning ladies around the hotel. Place is clean. Price is great. Complementary bottle of drinking water and three small candy pieces. A large mirror on the wall (about 1 by 2 meters I think). TV and steering WiFi signal. 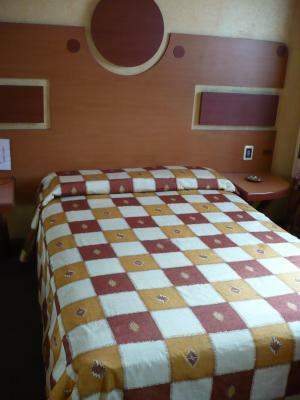 Cleaning ladies are respectful and have good attitude to help. Curtains can shot the light off completely if you want full darkness in the middle of the day. Parking lot. Right across there is a pharmacy/convenience store and a couple of places to eat nearby. They accept credit cards. 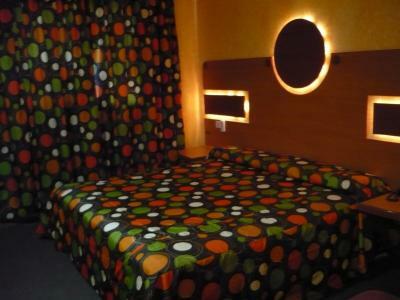 It's a really cheap option and offers good rooms. Location was good in that the busses were nearby, there was an excellent restaurant nearby and a pharmacy nearby. 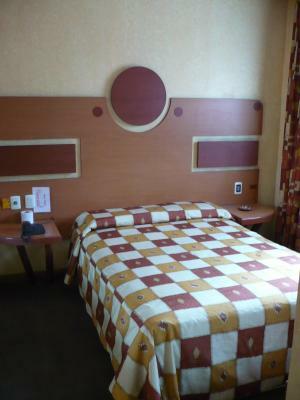 The staff at this hotel were very kind to us, and helped us in a difficult situation. We decided to take a taxi back to the hotel late one night, and upon arrival the driver tried to scam us by charging double the quoted price, and then pretending he didn’t have change. A very kind member of staff intervened and convinced the driver to lower the fare, then paid it himself as he had the correct money on him. We of course paid him back when we got change, but I was very grateful to him for doing that - I haven’t got service as good as that in hotels which have cost 10x the price of this one. 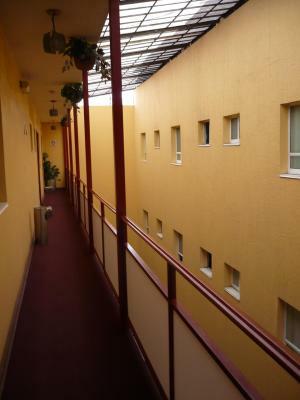 The hotel itself was basic, but very clean and we had no problems at all during our stay. 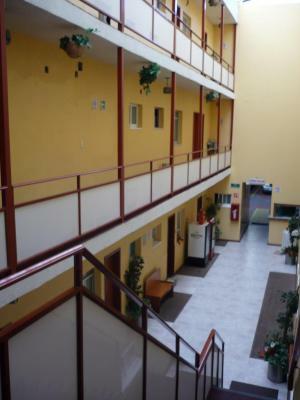 The property was relatively close to the Guadelupe basilica and to the city centre. It was daily cleaned and a bottle of water and the toiletries were provided daily. There was hot water in the shower both at night and during the day. 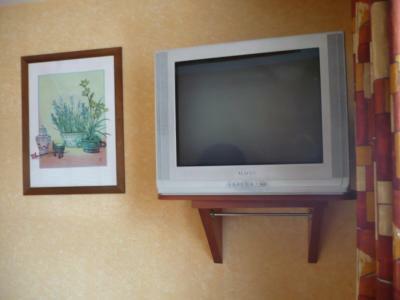 There was a functioning TV and a radio station in the room, too. 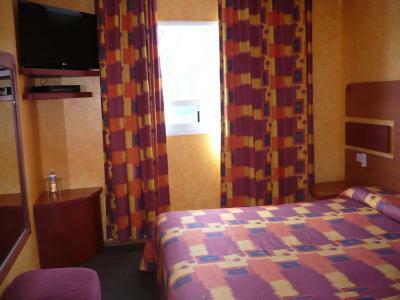 King room is spacious and comfortable, with bathroom ensuite. Impeccable cleaning service every day (bed made, new towels, new soap). It is an american style motel, with large parking lot in the back. 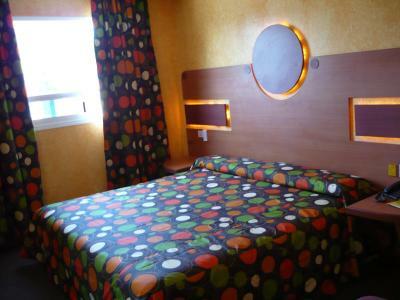 The place has double personality: it is both a "love" and a normal hotel. Condoms are advertised at the reception desk and in the room service menu. I spent 7 nights there but I felt like an exception...most of users are occasional. I would recommend for budget solo travellers. Value for money is maximised here. 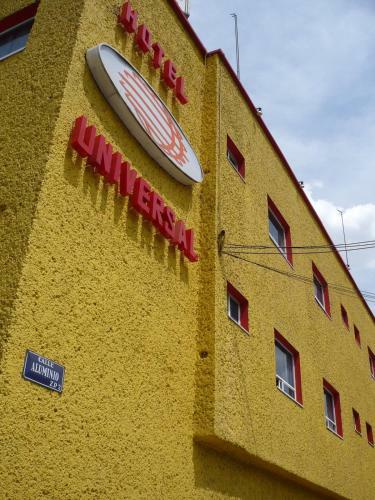 Hotel Universal is located 0.6 mi from the Plaza de las Tres Culturas Archaeological Site and 10 minutes’ drive from the Basílica de Guadalupe Church. It features free Wi-Fi in public areas and free parking. 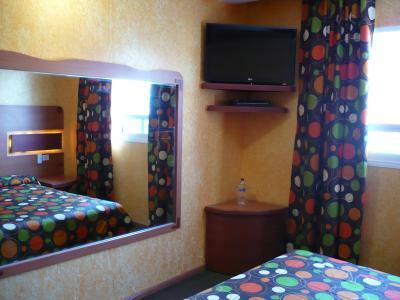 The rooms offer basic décor, flat-screen cable TV, telephone and carpeted floor. The bathrooms are private. 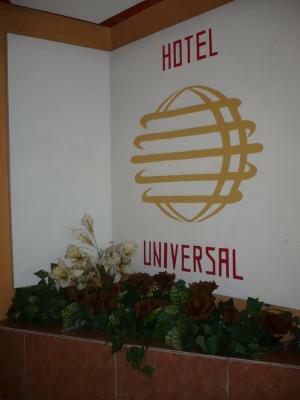 Guests at Hotel Universal will find a variety of food places within 0.6 mi and a restaurant is located just in front the hotel. 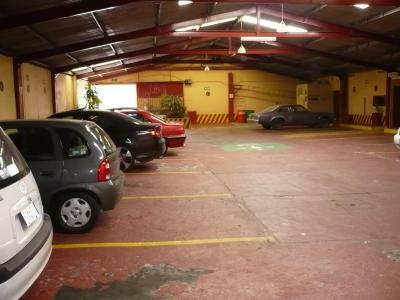 The property is 15 minutes’ drive from the Mexico City Zócalo Square and 2.5 mi from the Garibaldi Square, famous for its mariachi performers. 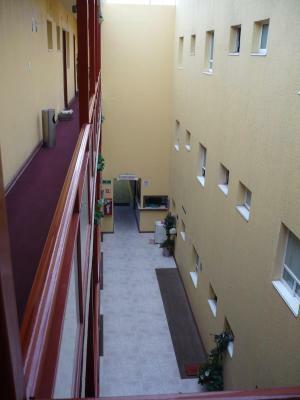 The Benito Juárez International Airport is a 20-minute drive away. 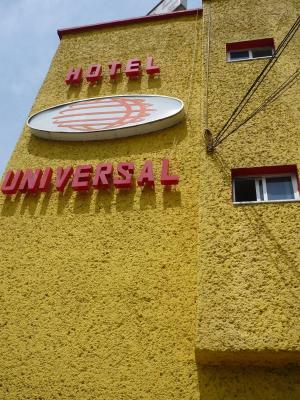 When would you like to stay at Hotel Universal? 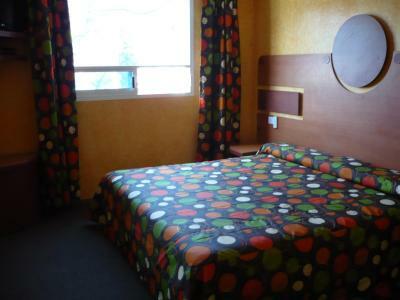 This room offers 1 double bed, basic décor, cable TV, telephone and carpeted floor. 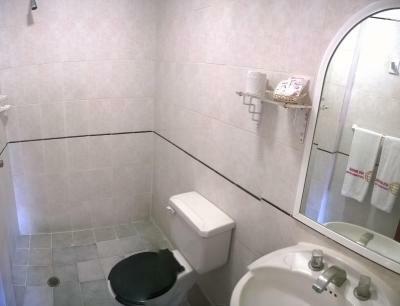 The bathroom is private. 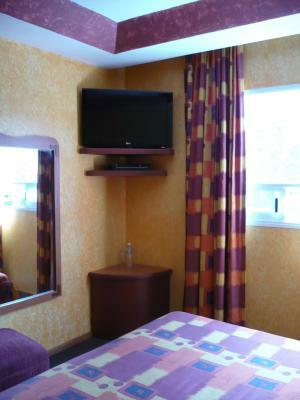 This room offers 1 King-size bed, basic décor, flat-screen cable TV with DVD player, telephone and carpeted floor. The bathroom is private. House Rules Hotel Universal takes special requests – add in the next step! Hotel Universal accepts these cards and reserves the right to temporarily hold an amount prior to arrival. Please inform Hotel Universal of your expected arrival time in advance. You can use the Special Requests box when booking, or contact the property directly using the contact details in your confirmation. 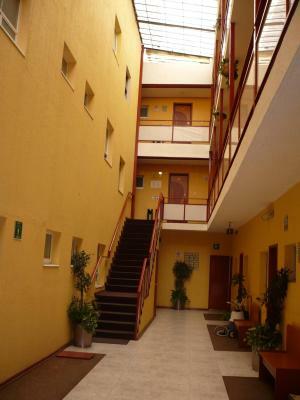 The location is ok(about 30 mins walk from historical district) Good value for money. The place is clean. 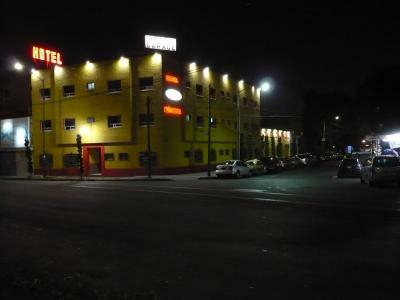 Room is dark, district not the safest in Mexico city for sure. Walking distance to the center at least 30min, if want to reach museums - even more. While walking you need to cross big market that is open every day. 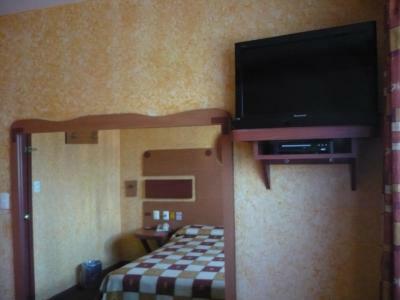 Would advise this place only for experienced travelers who ready to see less posh Mexico. 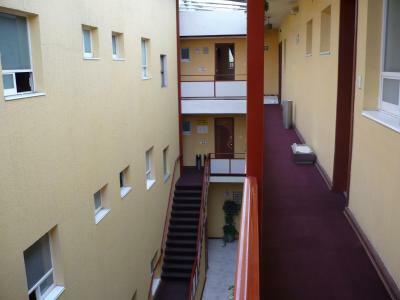 Hotel is quite noisy, it looked like some people are living there as well not only tourists. It is true in previous comments that often happens couples want to spend there hot night so don’t be surprised if you are hearing some noises and sounds, I avoided it with ear plugs. But still left strange impression. Not very clean would say too. Wifi works perfectly, they have hot water (not always happens in Mexico). Not enough lighting in the room. They had some parties every night outside our window and the music was so loud that it was hard to sleep. Location is not near many tourist attractions. Good value for money. 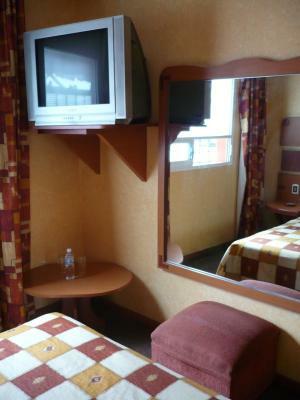 Room includes big bed, tv, air con, and bathroom. Wi-Fi worked well. Everything was perfect. Good English of the hosts. 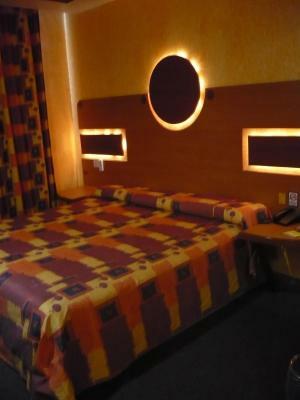 Bright and cosy room with all facilities. 1.5 km from the metro station. Quiet and peaceful location. Thank you very much! Everything was perfect. Good English at the reception. 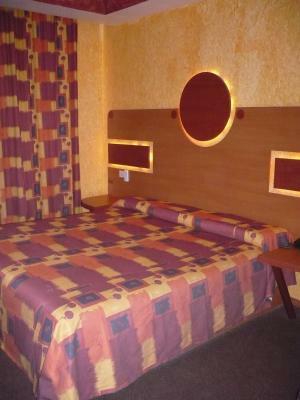 Bright and cosy room with all facilities. 1.5 km from the metro station. Quiet and peaceful location. Thank you very much!